We’re excited to announce Dr. Friedman’s retirement. We’re sad to see him go, but grateful for his help in building Ohio’s leading fertility clinic. Over his stellar career he has helped thousands of families grow. In retirement Dr. Friedman will providing consultation to our remaining phenomenal board-certified fertility specialists. Chad Friedman, MD, has spent more than 25 years specializing not only in Obstetrics and Gynecology, but also subspecializing in Reproductive Endocrinology and Infertility. Considered a leading U.S. expert in fertility issues, Dr. Friedman has been a member of the Ohio Reproductive Medicine medical team since 1999. 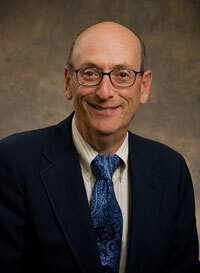 Dr. Friedman has written and published countless medical papers, abstracts, opinions and research findings on reproductive endocrinology and fertilization issues, and his work has been published in numerous medical journals and books, including The American Journal of Obstetrics & Gynecology, the Journal of Reproductive Medicine, the Journal of Urology, the Journal of Immunology, Life Science, the Journal of Clinical Endocrinology & Metabolism, Fertility & Sterility, and Biology of Reproduction. Among his numerous avenues of subspecialized reproductive expertise is tubal ligation reversals – an unprecedented benefit to those families who had previously obtained a surgical solution to contraception. An associate medical professor in the Department of Obstetrics & Gynecology at The Ohio State University College of Medicine, Dr. Friedman is board-certified in Obstetrics and Gynecology as well as in Reproductive Endocrinology & Fertility. Additionally, he is a Fellow in the American College of Obstetricians & Gynecologists as well as an active member in the Columbus Obstetric and Gynecology Society, the Endocrine Society, the Society for Gynecologic Investigation, and the Society of Reproductive Endocrinologists. Dr. Friedman dedicates his life to helping families face reproductive issues and teaching other physicians to do the same, and at the same time, considers his greatest accomplishment to be his dedication to his own family: wife, Charlotte, and children Lucas and Jonathan. I saw Dr. Friedman and I loved him! I am a no nonsense type of person and I loved how he was honest and upfront about everything. Sometimes even giving us the worst case scenario which I appreciate. Dr. Friedman received his Medical Degree from the University of Chicago Pritzker School of Medicine and completed his residency and Fellowship at The Ohio State University Hospitals. In his spare time, Dr. Friedman enjoys reading historical and political science literature and interacting with his canine and feline pets.